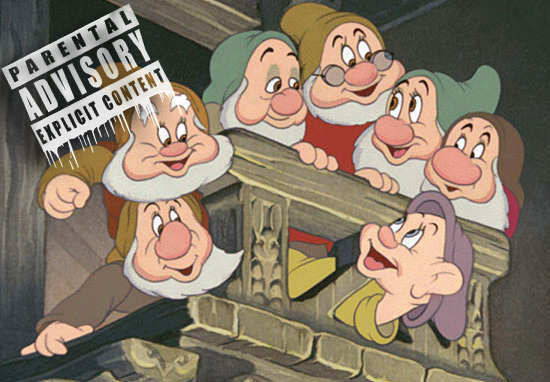 Walt Disney isn’t exactly heralded as a beacon of political correctness, so it may not be too surprising to hear there were a host of Dwarfs rejected from Snow White for being too offensive. As reported by the Daily Mirror, the revelation was made after original artwork from the 1937 movie went up for auction. We all know Dopey, Bashful, Grumpy, Sleepy, Happy, Sneezy and Doc, but which characters failed to make the grade? In total there were 16 other miners, and it isn’t too hard to see why they were dropped well before the modern era of being PC. Names reportedly cut include: Tubby, Baldy, Shorty, Wheezy, Lazy, Jumpy, Dizzey, Hickey, Gabby, Nifty, Sniffy, Swift, Puffy, Stuffy, Burpy and Deafy. Hickey and Sniffy sound creepy AF, while Shorty is certainly rubbing salt in the wound of a dwarf, but Deafy – that certainly wouldn’t have been the wisest of moves. I think the guys at Disney will be relieved that the names of the dwarfs were changed at the last minute. I’m sure they wouldn’t have offended sensibilities back in the 1930s but it would be a different story today. The original ones aren’t as good as what they eventually came up with. The great thing about the names they used is that they’re not just physical references, they’re emotional. It’s good that they made it more about personality than physicality. 32 pieces were sold at auction, fetching a handsome £80,000 in the process.